Pavel Mikhailovich Tretyakov is a Russian businessman who had a great passion for the visual arts, gathered a truly huge collection of works of art and created the world-famous gallery. 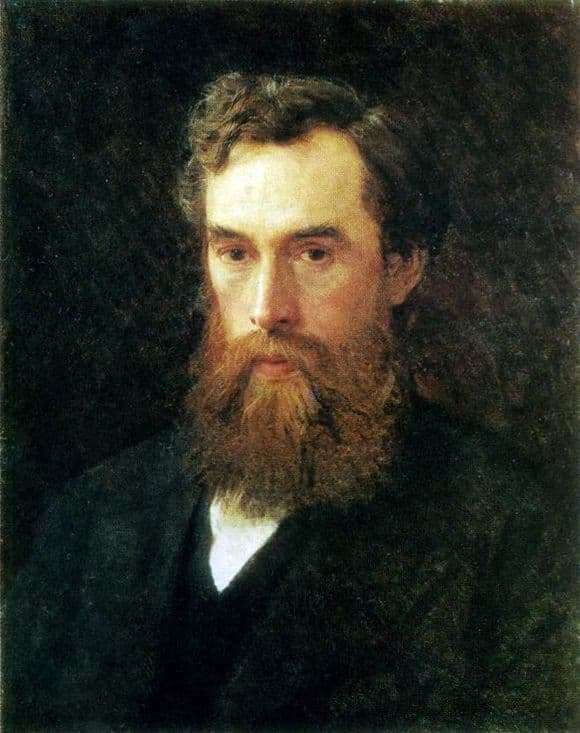 Ivan Nikolaevich Kramskoy – Russian artist, master of portraiture. This work proves it. The two men were close enough friends. Meeting over a cup of tea, they loved to discuss the politics and culture of their country. The patron bought for his collection several beautiful works of the artist, which the latter specifically created for the gallery. Kramskoy did not write this work for the collection, of his own will, as a tribute to friendship, “writing off” a friend who was in sickness. Of course, this is not visible in the portrait, as the artist has invested a maximum of lyricism and intimate peace in the work dedicated to his friend. The output was a beautiful portrait of an outstanding person. The entrepreneur is depicted on the chest. This is characteristic of Kramskoy, rarely he painted portraits in full growth. This made it possible to focus on the face to which the master paid special attention. Here and in this person, we clearly see the grace and aristocracy of the portrayed, absolute calm in his eyes and lack of nervousness in character work, and in others, which indicates its incredible skill), as well as a great mind in a wide forehead. Being a friend of a merchant-collector, the painter “transferred” the living Tretyakov to the canvas, as a result of which the latter came out large-scale, deep and complete. And since the philanthropist was so, this once again shows how he loved art, appreciated the skill of painters, and therefore carefully preserved his incarnations in his gallery.